Šarūnas Keserauskas was appointed as chairman of the Competition Council of the Republic of Lithuania for a tenure of six years on 4 April 2011. Prior to moving to his current position, he spent almost two years as a senior legal adviser at the UK Office of Fair Trading. 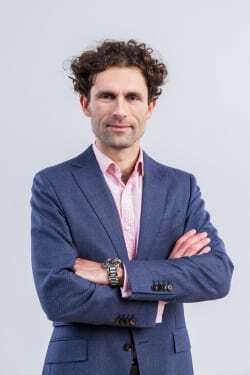 Having graduated with a master of law’s degree from Vilnius University, Faculty of Law in 1998, Mr Keserauskas continued his studies at King’s College London, where he obtained an LLM in European law in 2003 and a PhD in law in 2010. In 1998, Mr Keserauskas started lecturing at Vilnius University, Faculty of Law, where since 2005 he has been giving lectures on Competition Law. Mr Keserauskas was a visiting competition law lecturer at Riga Graduate School of Law (Latvia) from 2000 to 2005. From 1998 to 2009 in addition to his work as a lecturer at Vilnius University, Mr Keserauskas was an associate and then a competition law adviser with the law firm LAWIN Lideika, Petrauskas, Valiūnas ir partneriai. Mr Keserauskas is often invited as a guest speaker to local and international competition events. He has counselled Armenian NCA and in the meantime he is a junior project leader in the twinning project aimed to strengthen enforcement capacities of Egyptian NCA. He is fluent in English and Russian.